In one of her most famous songs Janis Joplin sings “Oh Lord, won’t you buy me a Mercedes Benz, my friends all drive Porsches, I must make “Amens”, worked hard all my lifetime, no help from my friends. 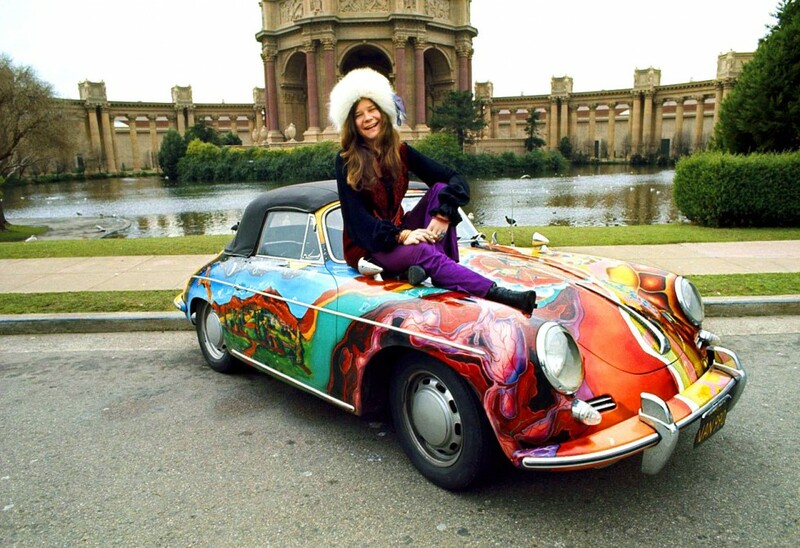 Oh Lord, won’t you buy me a Mercedes Benz …” But it was not just Janis Joplin’s friends who drove Porsches, Janis herself owned and drove a Porsche 356C, as also did Sean Connery and James Dean. The Porsche 356C was Janis’s third car, behind an arguably more hippie like Morris Minor convertible and an Austin, those were the wheels that carried her as she made her way up the charts and into the Rock and Roll Hall of Fame. But once she became famous and had money to go along with the fame in 1968 she splashed out on a car that would set her apart, not only as a singer creating a new and innovative style of music, music that turned her into a Rock and Roll icon, but in her choice of a car that was destined to be seen as an iconic Porsche, the 356C. Janis Joplin chose the older model Porsche 356C not the new 911. Her car was one of just 16,674 made and is representative of the best iteration of the 356; it was a convertible, and it had disc brakes and the most powerful engine to go with that powerhouse voice that had driven Janis’s music up through the charts. Janis’s Porsche 356C was originally supplied in “Oyster White” but plain white was just not going to be suitable for a lady of Janis’s personality. 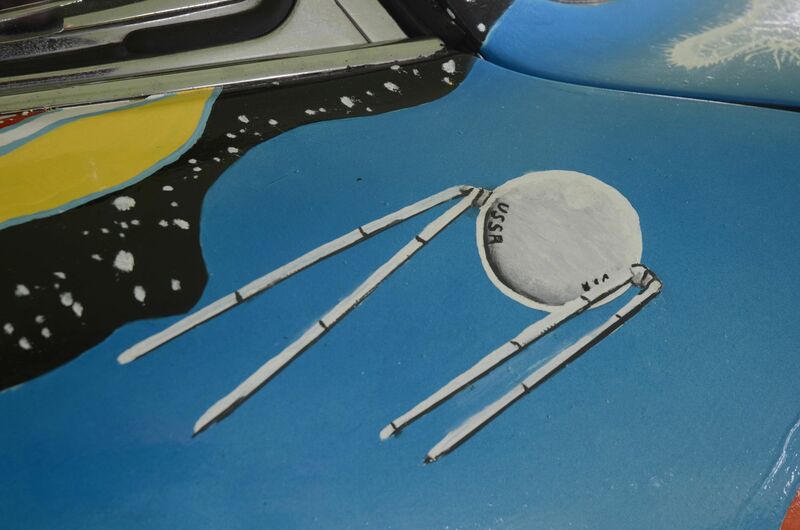 She wanted a paint job that would be unique and one of her roadies, Dave Richards, came up with a paint job he called “The history of the universe”. It was and is unique. A powerhouse car, with the powerhouse paintwork, for the powerhouse Rock and Roll lady. Janis Joplin’s Porsche 356C is coming up for auction by RM Sotherby’s in their “Driven by Disruption” sale on 10th December 2015. But of course, we still have the car, but we don’t have the lady any more. 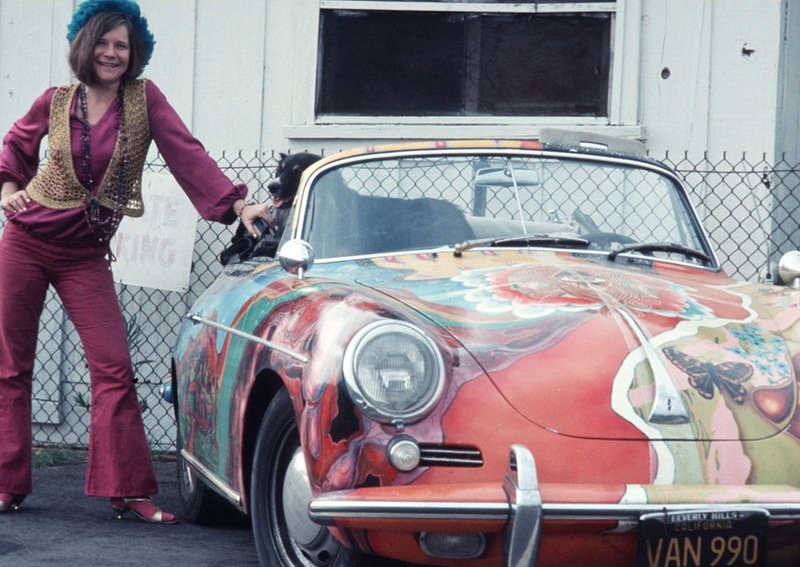 And it was Janis’s extraordinary persona that breathed life into the car and it’s paintwork. 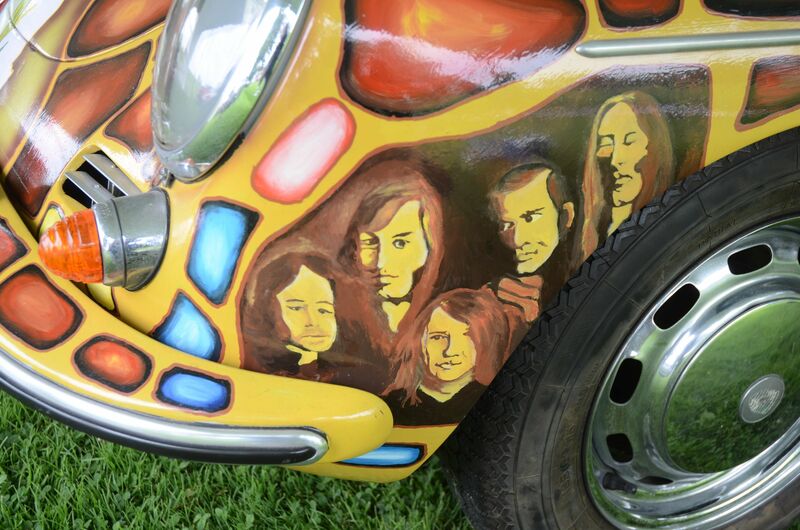 Now that Janis is gone what is left is a steel and paint memorial in the form of a car. But that car simply cannot call to life the lady who gave it so much life. All it can do is help us remember.